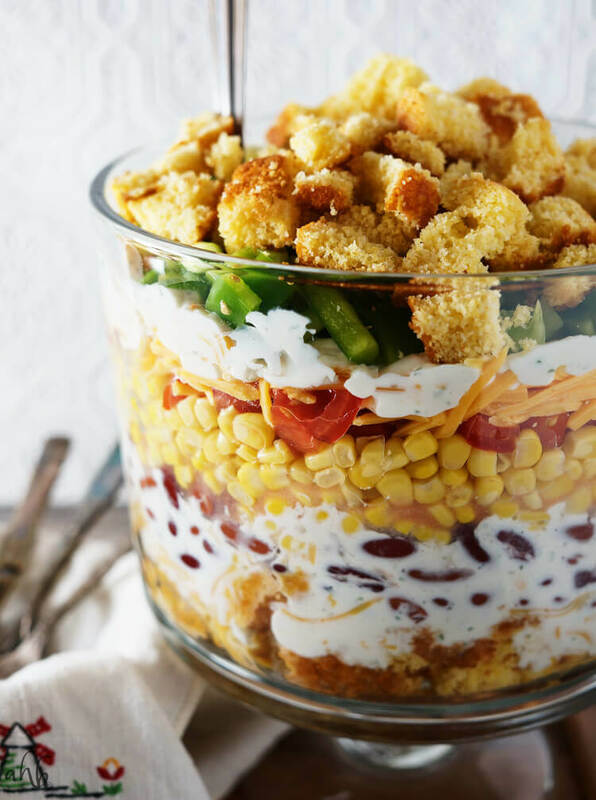 Layered cornbread salad is so bright and colorful. Fresh veggies are layered high with cornbread, cheese and ranch dressing. It’s crunchy, creamy, savory, and with the cornbread, just a hint of sweet as well for a combination that can’t be beat. 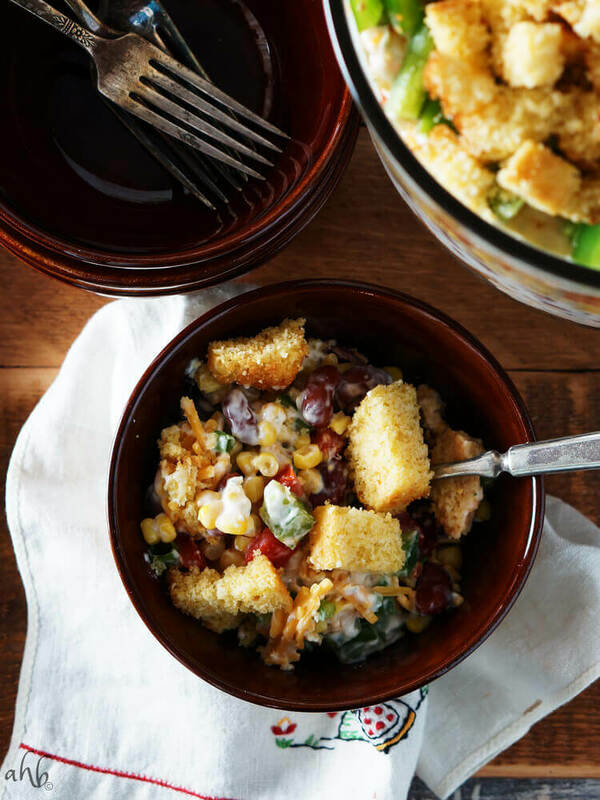 The first time I ever heard of cornbread salad I was pretty sure it was something that Missouri corn farming wives had made up just because they had an abundance of corn! This salad is a rural church dinner favorite in my area and after one bite, you’ll see why. This salad is so simple to make, it tastes great, and makes a great presentation on the dinner table. 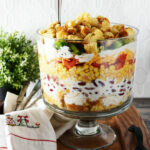 I like to use my trifle bowl to serve layered salads like this, but any large straight sided bowl will work. The placement of the layers in this salad is really up to personal preference, but I like to put some cornbread on the top and the bottom of the dish so that you’re guaranteed to get a nice amount of cornbread in each serving. Same thing with the dressing, I do two layers so that you’re guaranteed to get enough dressing in each serving. It drives me nuts when you go to get a scoop of layered salad and you don’t have enough dressing to cover your serving. Maybe that’s just me being a little OCD. 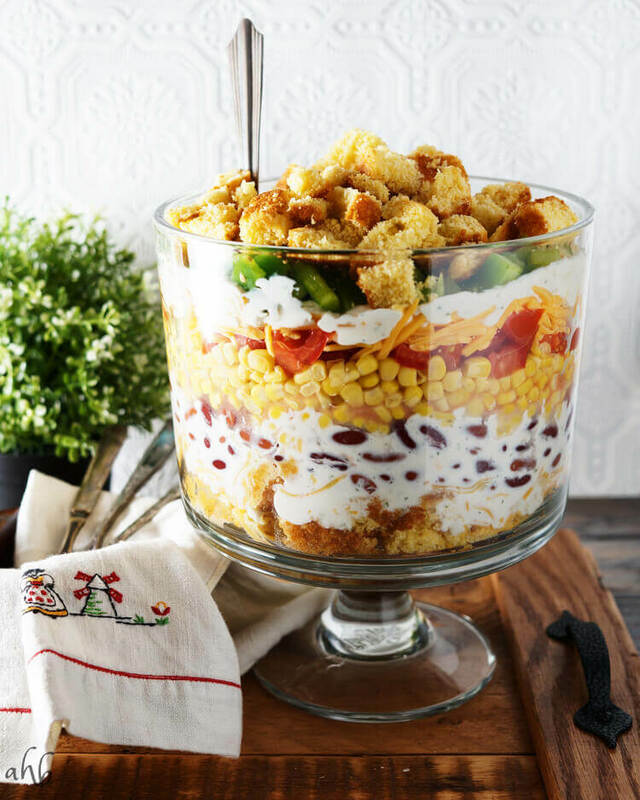 Feel free to switch up the order of the layers in this cornbread salad to your preference. This salad takes hardly any time to whip up and makes the perfect side dish to any meal, but seems to go over especially well at potlucks and big family dinner. Fresh veggies are layered high with cornbread, cheese and ranch dressing. It’s crunchy, creamy, savory, and with the cornbread, just a hint of sweet as well for a combination that can’t be beat. Mix together the dressing mix with the mayo and the sour cream. Set aside. Cut the cornbread into cubes. Place half of the cubes in the bottom of a large bowl with straight sides. Layer 1 cup of the cheddar cheese over the cornbread followed by the kidney beans. Spread 1/2 of the dressing over the beans. Then layer the corn, tomatoes, the remaining cheese and the rest of the dressing. Top with the green peppers and the remaining cornbread cubes and serve! 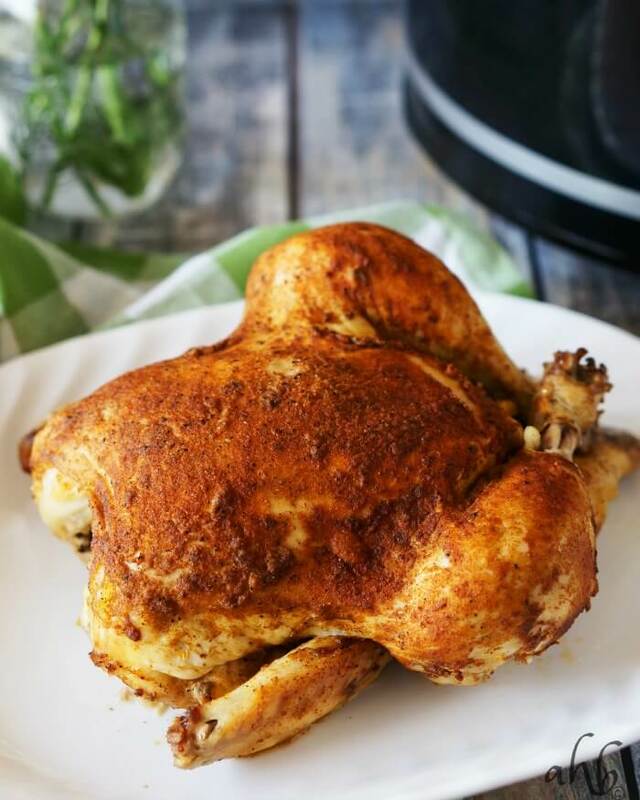 Crockpot Roasted Chicken goes great with this salad. Try it out and make it a meal.